Stuart Davis (1892–1964) Owh! in San Pao, 1951. Oil on canvas, 52-3/16 x 42 in. (132.6 × 106.7 cm). Whitney Museum of American Art, New York; purchase 52.2 © Estate of Stuart Davis / Licensed by VAGA, New York, NY. 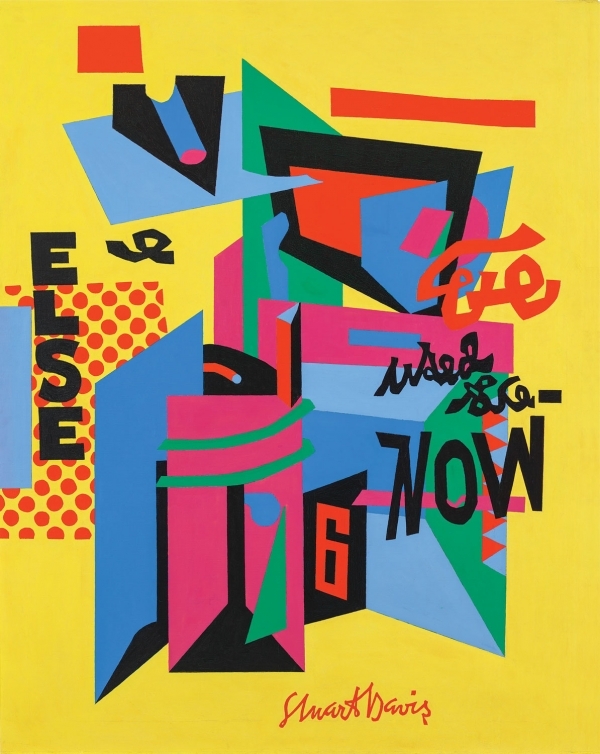 “Stuart Davis has been called one of the greatest painters of the twentieth century and the best American artist of his generation,” notes exhibition co-organizer and Whitney curator Barbara Haskell. “Faced with the choice early in his career between realism and abstraction,” Â she adds, “he invented a vocabulary that harnessed the grammar of abstraction to the speed and simultaneity of modern America.” Stuart Davis: In Full Swing features approximately 100 artworks by an artist whose formal brilliance and complexity captured the energy and ebullience of popular culture and modern life.